THE LANDSCAPE HUGS THIS NATIONALLY RECOGNIZED HISTORIC HOME IN PALO ALTO’S PROFESSORVILLE NEIGHBORHOOD. THE VIBRANT HOMEOWNERS WANTED TO CREATE A LANDSCAPE THAT OPENED UP TO THE NEIGHBORHOOD AND RESPECTED THE OLD WORLD GARDENS OF THE HOME’S 1906 PERIOD. THE LANDSCAPE IS NOW DEFINED BY A SERIES OF OUTDOOR “ROOMS”, OPTIMAL FOR THE FAMILY’S DAILY USE, WHILS SEAMLESSLY TRANSFORMING TO ACCOMMODATE VERY LARGE GATHERINGS. HIGHLIGHTS INCLUDE CUSTOM WATER FEATURES, HAND-MADE CLINKER BRICK WALLS, A CHARMING VEGETABLE GARDEN WITH CUSTOM CHICKEN COOP AND MATURE PERIMETER PLANTINGS. 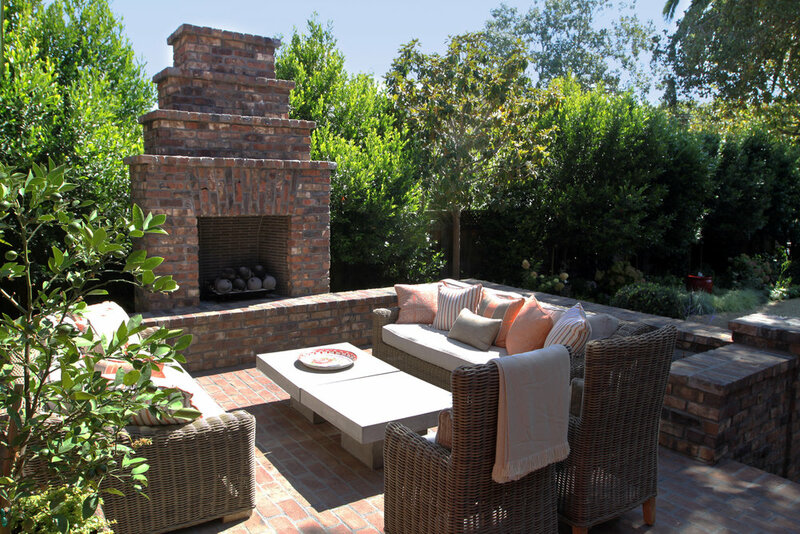 ARCHITECT: AINO VIEIRA DE ROSA I INTERIOR: KEN FULK I CONTRACTOR: NORTHWALL BUILDERS I LANDSCAPE CONTRACTOR: SITEWORKS LANDSCAPING I LIGHTING DESIGNER: ERIC JOHNSON ASSOC.